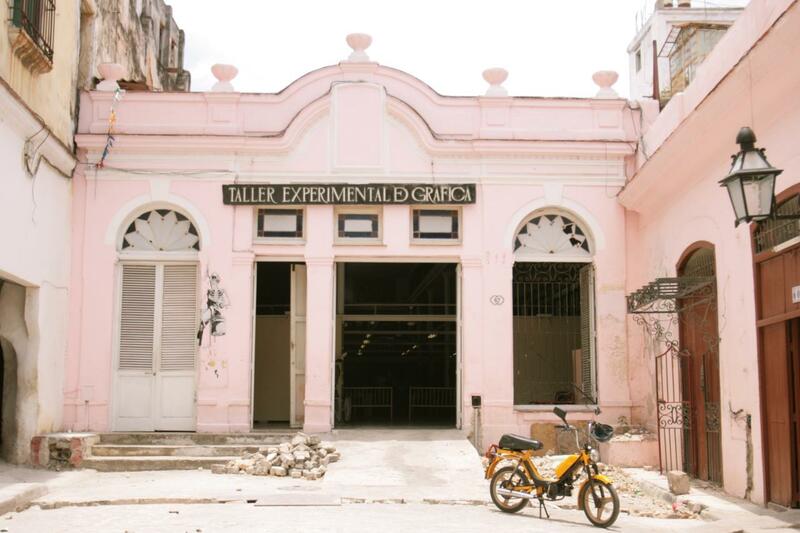 In old Havana, on the same block as the famous Bodeguita del Medio, one can find El Taller Experimental de Gráfica—The Experimental Graphics Studio. Founded in 1962 by mural artist Orlando Suarez with the support of Che Guevara, who was the minister of industry at the time, this studio/workshop is still thriving today. This is one of the most important graphic arts establishments, preserving the old printmaking techniques and churning out some of the most significant works of graphic art in Havana. Many visual artists, poets, writers, and musicians are attracted to the TEG for the flavor of art that is produced there as well as the unique gathering of artists who work and study there. There is also a small gallery—Galería del Grabado—upstairs which is a good place to buy art. It sells original etchings, lithographs, woodcuts and collagraphs that are made at the TEG. Grabado (printmaking) is a very important traditional art form. 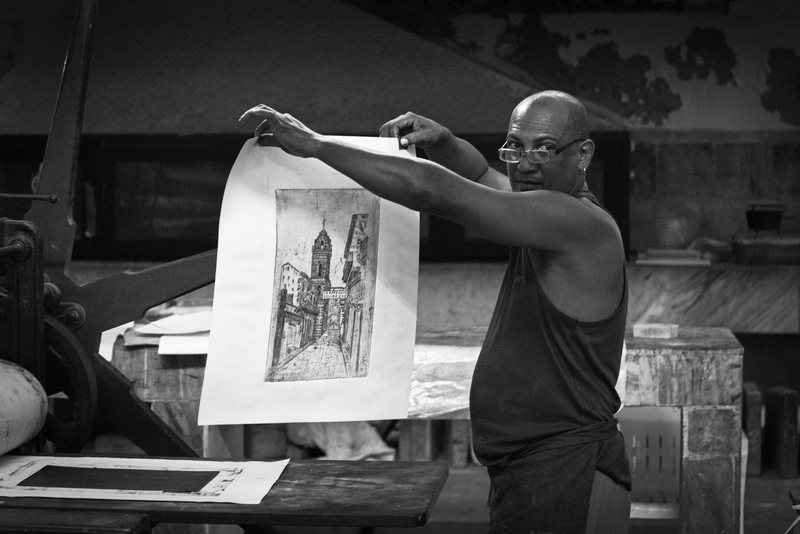 The handmade quality and aesthetic value along with the fresh smell of ink and the high quality paper (things that are rare in Cuba) make Grabado very sought after. More importantly, it is a form of art where a relative freedom of expression and spirit somehow finds its way. 56 year-old Isolina Limonta works at the Experimental Graphic Art Studio in Old Havana. Here she briefly demonstrates a traditional press.